Fairbanks Morse / Fairbanks Nijhuis Archives - Powerflo Products, Inc.
With a history spanning more than 100 years, Pentair Fairbanks Nijhuis provides a comprehensive portfolio of configured and custom-engineered pumps and turbine solutions. Our depth of hydraulic expertise, innovative products and professional service reliably meet the growing global demand for efficiency and sustainable water solutions. Learn how your industry can benefit from the use of Fairbanks Nijhuis vertical turbine, propeller, split case, solids handling, submersible solids handling, vortex and fire pumps. Powerflo Products, Inc. is a proud distributor for Fairbanks Nijhuis in California. Offers pump bowls from 4″ to 57″ (101 – 1,447 mm) in diameter to meet pumping configurations. Please contact us for replacement parts, replacement bowl assemblies, repairs, and new pump applications. 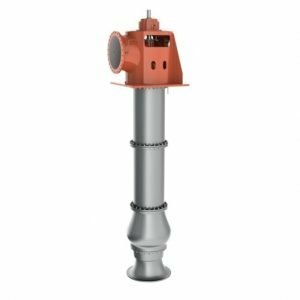 The Fairbanks Nijhuis vertical turbine pump is an energy efficient and reliable pump, suitable for various liquids and applications. The pump is available with a dry motor installation, in a wide range of flow rates, pressure heads and construction materials. 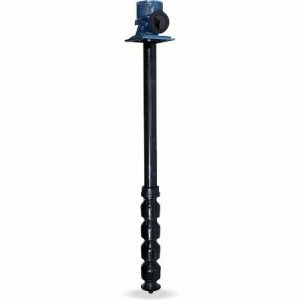 The hydraulic design includes a suction bell, single or multiple pump stages with closed or open mixed flow impellers, column pipes with integrated line-shafts, and a discharge elbow that can be located either above or below the foundation level.